HCM City (VNA) – Senior officials of the APEC economies discussed issues related to the implementation of intellectual property in border areas, fake commodities and brand violations during a conference held by the Intelligence Property Rights Experts Group (IPEG) in Ho Chi Minh City on August 24. They debated a wide range of matters related to the effect of brand violations to the brand owners and consumers as well as the economy, the role of customs in implementing property rights in border areas, and the future trends in the field. Experts from some APEC economies share their experience in handling property rights violations in the border, which are useful for Vietnam in settling violations in goods transit and export. Le Ngoc Lam, Vice Director of the Intellectual Property Department under the Ministry of Science and Technology, said that the handling of violations in goods for export and in transit is not under the coverage of property rights protection, but it seriously affects the property rights at higher level. 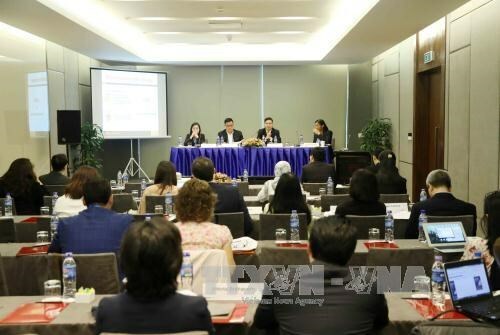 At the conference, Vietnamese experts also clarified the real situation of violations when transporting goods through the border. Vietnam is handling the violations in conformity with the Intellectual Property Law and the Customs Law in the framework of the Agreement on Trade-Related Aspects of Intellectual Property Rights (TRIPS).